At Artioli Chrysler Dodge Ram, we pride ourselves on being one of the top Chrysler dealers in CT. You can browse our website for new inventory or stop by our physical location in Enfield, CT to see all the highest quality new and used Chrysler vehicles available today. Chrysler’s reputation for quality and reliability offers you peace of mind. 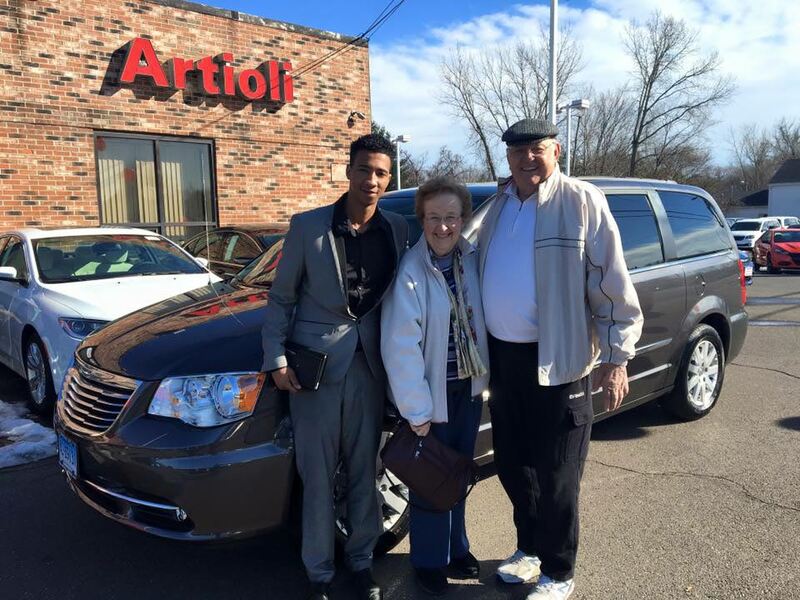 Whether you are searching for a Chrysler Town & Country van, an all-new 2017 Chrysler 200 Limited Sedan, or a range of other models, Artioli Chrysler Dodge Ram has the vehicle for you.Our family-owned business serves Hartford, CT and the surrounding areas. We pride ourselves on being a smaller dealership with a high customer satisfaction rate. And despite our size, we always offer huge deals on high-quality used Chrysler vehicles, and we pride ourselves on providing an excellent customer service experience. Our veteran staff understands the stress that can be associated with buying a car, so we aim to make your buying experience as hassle-free as possible with our relaxed environment and welcoming sales team. Our prices, coupled with our staff’s personalized and friendly approach, create an open sales relationship with our customers that we strive to keep. Other Chrysler dealers in CT may not have what you want for your transportation needs, but we do. We always make sure to choose superior Chrysler vehicles and to place our stamp of quality approval on each car. Visit our website and look over our inventory, and then be sure to visit the Artioli Chrysler Dodge Ram showroom in Enfield.